It's your turn to take the wheel. During the Audi Certified pre-owned Sales Event, highly qualified customers who finance through Audi Financial Services can receive 1.99% APR for up to 24 months on select 2013-2017 Audi Certified pre-owned vehicles. Welcome to Molle Audi of Kansas City - a luxury Audi dealership in Kansas City; part of The Molle Automotive Group. The Molle Automotive Group has been a family owned and operated in Kansas City since 1969. We embrace our 50+ years of relationships and memories we have shared with the Kansas City community. KC has been our home for many years and we want to make it a bit homier for you! If there is anything we can do to make your automotive experience a bit easier, simply reach out. We know that prospective customers are extremely well educated when researching their next vehicle. Molle Audi of Kansas City has made it easy to get all the available vehicle information you need so you can spend less time haggling and more time enjoying! We have a large selection of new and used vehicles from which to explore. We at Molle Audi of Kansas City offer online and offline vehicle specials our customer enjoy every day. Our Certified Audi technicians use genuine Audi parts to make sure your vehicle is in tiptop shape driving down the road. 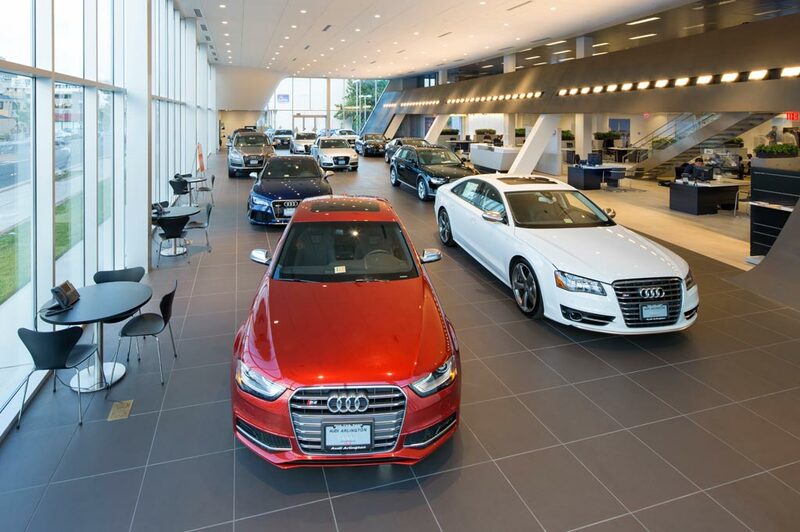 We have helped thousands of customers from Kansas City, Overland Park, Olathe, Lenexa, Lee's Summit, Independence, Blue Springs, Shawnee, Belton, Grandview, Merriam, Lawrence, Raymore, Prairie Village, Raytown and Leawood find that Audi of their dreams. When we say "A more comfortable place to buy a car", we mean it! It will be our pleasure to help you.